The version 3.2 of Sweet Home 3D is on its way. The Beta version can be run as a Java Web Start application. Normally, this version will bring only bug fixes and no feature that would require new words in the user interface. - a bug in the photo rendering of transparent models. It brings also updated help in Spanish and Brazilian Portuguese translations. I just updated the Beta version 3.2. It fixes a regression in the management of joined walls, improves how GMT time zones are listed (see this thread), and forces 24 hour time notation for the English speaking users who don't come from the US and other countries that use AM/PM. The main changes of the version 3.2 Beta 3 can be tested through an other Java Web Start application I called Sweet Home 2D at this time. You probably guessed it, it's a version where 3D capabilities aren't used, meaning no 3D view and no 3D view menu are created, no importing individual pieces of furniture, no photo and no video are possible (but you can still import SH3F files). As it doesn't rely on Java 3D and DirectX/OpenGL, it should run for all users who had problems with such features. SH3D files generated by this version are fully compatible with Sweet Home 3D. It's only a first version and Sweet Home 3D name will still appear in many places, but I don't know yet how far I'll go in customization. I just wait for your feedback to decide. By the way, in case there's a good opportunity on this idea, I registered sweethome2d.com too to avoid domain squatting and it points to this web site at this time. Here's the version 3.2 Beta 4 with a complete version of the Swedish help and improved management of transparent textured 3D models (see this thread). 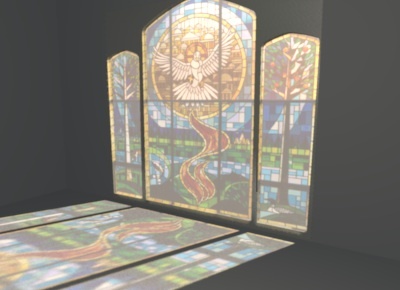 Now you can render the transparent stained glass of this nice Google warehouse model. Thanks for v3.2b4. The window works, and so does the black glass table from the thread you referred to. I checked all three variants of the table: the original DAE file, and my adapted files with PNG and GIF image in them. All three render exactly the same. 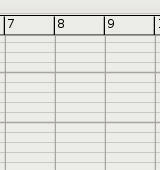 There is a small bug in the grid: it doesn't show subdivisions. I think I reported this already for an earlier beta, if I didn't report it, it's because it's so minor. Also, this could well be a Ubuntu/OpenJava bug. Also, inserting furniture is only possible through the menu: dragging it in the 2D plan is not possible, and CTRL-C and CTRL-V don't work. that should be a Ubuntu issue. I'm using Windows XP SP3, SH3D Version 3.2 Beta 4, Java version 1.7.0-ea, and everything works fine. Even zooming in and out up (or down) to its limits. Hans did you try whether it works better with Sun/Oracle JDK? Installing Sun Java solved the problem. It seems there's a difference between OpenJava (which works without problems) and OpenJava Webstart (which causes problems. Thank you Hans for your tests. Version 3.2 was released tonight.